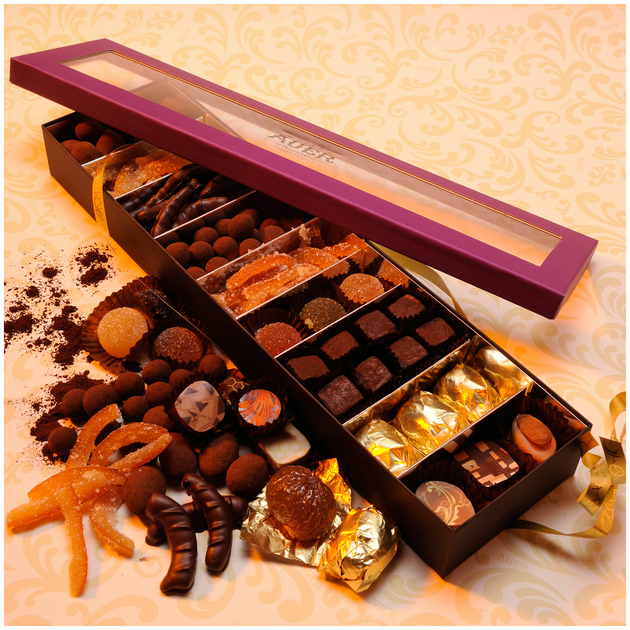 There are times when choosing becomes too difficult! 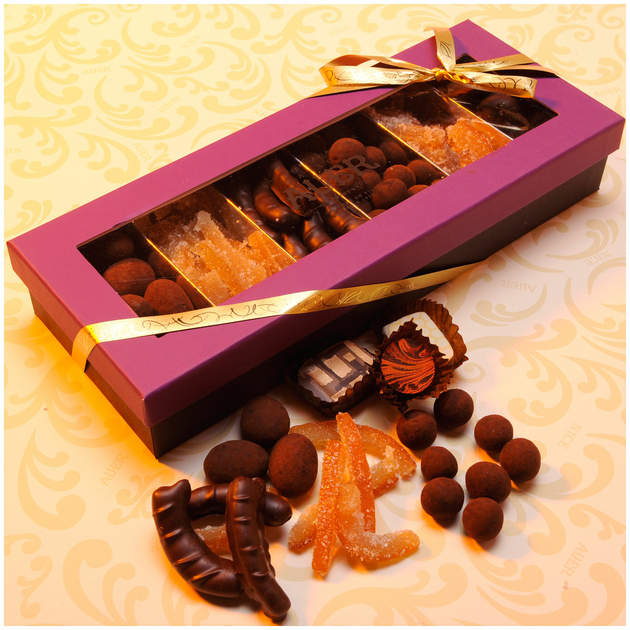 Assorted chocolates with delicate flavors? 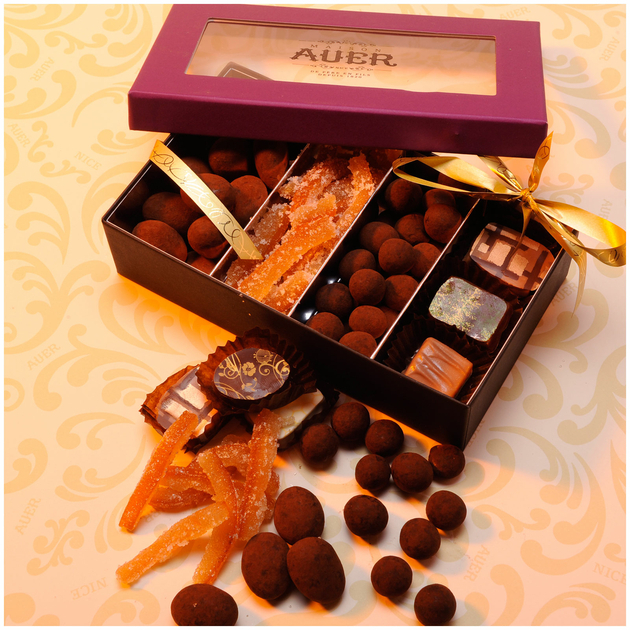 Orangettes of sugar or chocolate, candied chestnuts ..... We've created this Invitation box for you will avoid any dilemma. 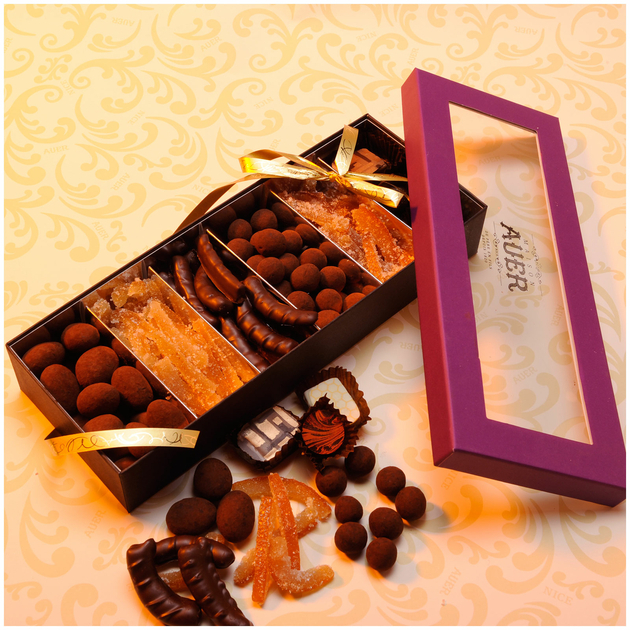 You will discover (depending on size) a panel of all our sweets and you can regale yourself without hesitation and without remorse.